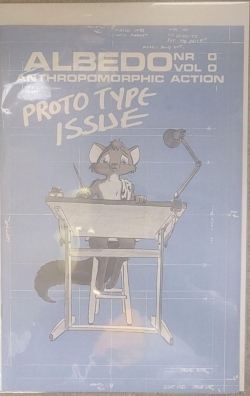 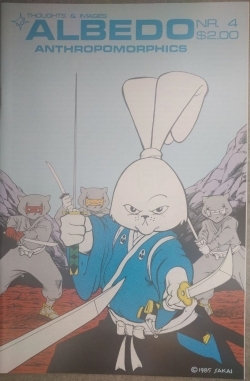 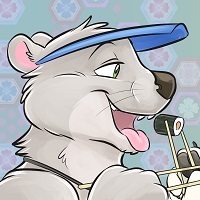 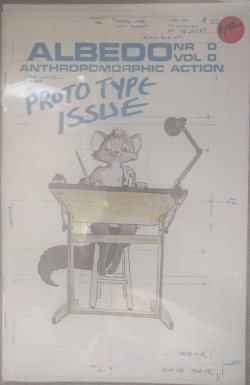 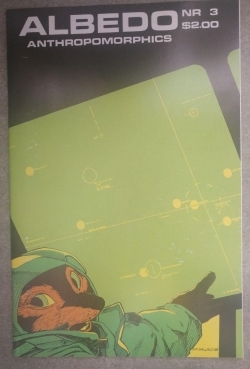 One of the oldest distinctively "Furry" comic published, Albedo Anthropomorphics (Later just called Albedo) was an anthology comic founded by Steve Gallacci, first published in 1983 by Thoughts and Images, then later Antarctic Press and Shanda Fantasy Arts. 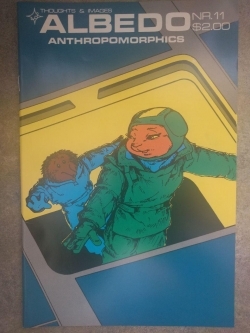 This is the December 1986, Version 4 edition of Issue 0. 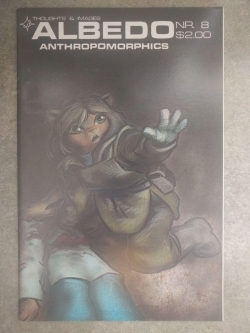 It includes a publication history of Issue 0 on the inside front cover.